Hello fans! We have a sneak peek of Hot Toys’ upcoming releases for you all! 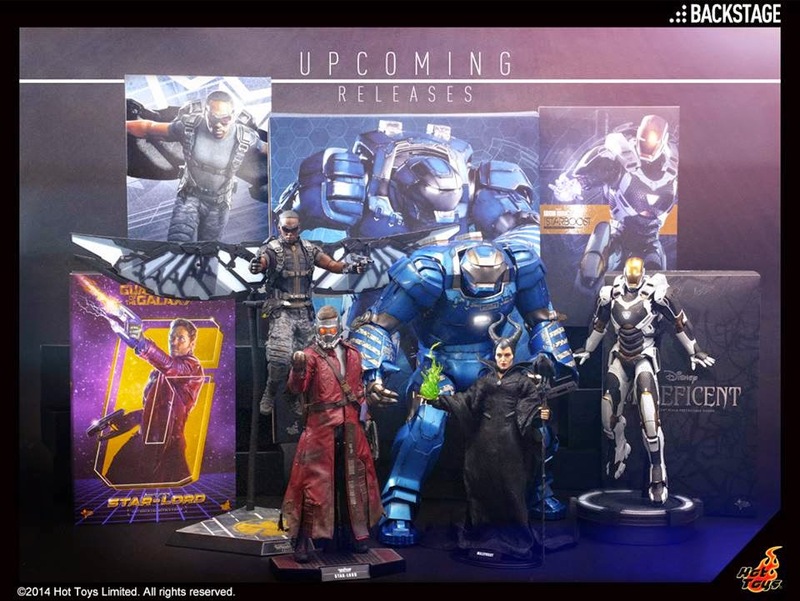 Coming soon are the highly anticipated Starboost & Igor from Iron Man3, Falcon from Captain America: The Winter Soldier, and the legendary outlaw Star-Lord from Guardians of the Galaxy. The recently releasedMaleficent is being shipped to your countries. Stay tuned and keep updated on our Facebook page for latest news. Thank you for your support!